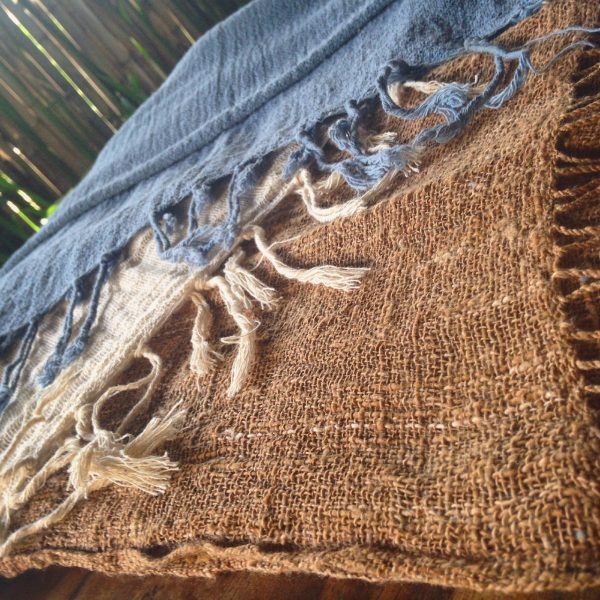 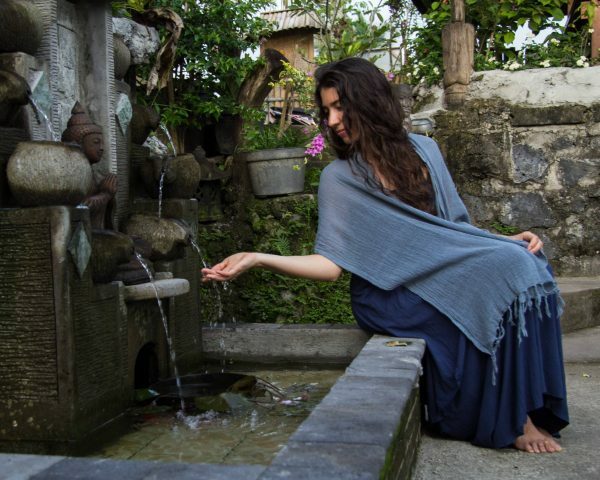 This wonderful piece has been lovingly hand woven and naturally dyed using natural pigments and plants by a family of artisans in the island of Java, Indonesia. It’s 100% organic cotton, lightweight, soft yet textured, with a wonderful earthy feel. The deep tones, hand finished texture and artisanal nature is perfect for the wild and free adventuress look! 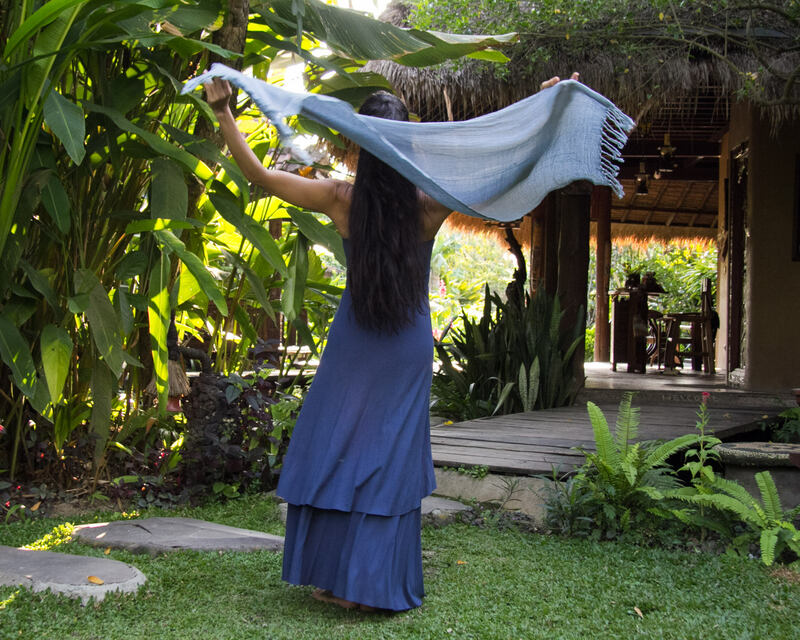 Try it for an added boho-chic touch to any of our designs.